We loved our stay at A’Zambezi We loved the layout of the property with the views of the river Lovely breakfasts But the best part were the friendly staff, especially the breakfast staff What a great team Thank you!!! 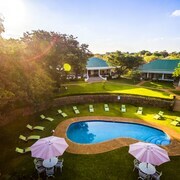 Where to find Victoria Falls hotels near an airport? 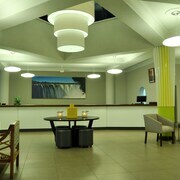 Where can I find hotels in Victoria Falls that are near tourist attractions? 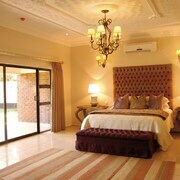 You'll find yourself spoiled for choice when it comes to securing the best hotels and apartments in Victoria Falls. The Expedia database contains no less than 33 places to base yourself within a 0.1-kilometre (0.06-mile) distance of the center of Victoria Falls. 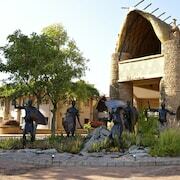 Some hotels that are close to downtown Victoria Falls are the The Victoria Falls Hotel and Cresta Sprayview. 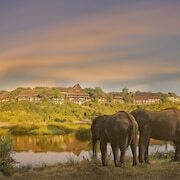 The The Stanley and Livingstone Private Game Reserve is located 5 kilometres (3 miles) from downtown Victoria Falls. 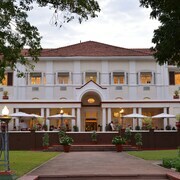 Another hotel is the Royal Livingstone Victoria Falls Zambia Hotel by Anantara, which is situated 6 kilometres (4 miles) away. 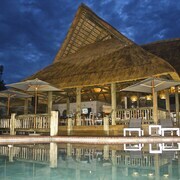 Alternatively you could book a bed at the Victoria Falls Safari Club or the aha The David Livingstone Safari Lodge & Spa. Now that you've explored accommodation options in Victoria Falls, be sure to visit Expedia's Victoria Falls travel guide for information on ways to spend your time in this area. 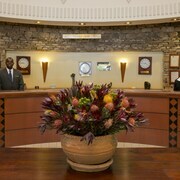 What are the most popular Victoria Falls hotels? Are there hotels in other cities near Victoria Falls? 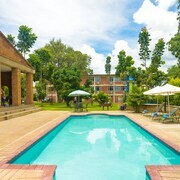 What other types of accommodations are available in Victoria Falls? Explore Victoria Falls with Expedia.ca’s Travel Guides to find the best flights, cars, holiday packages and more!